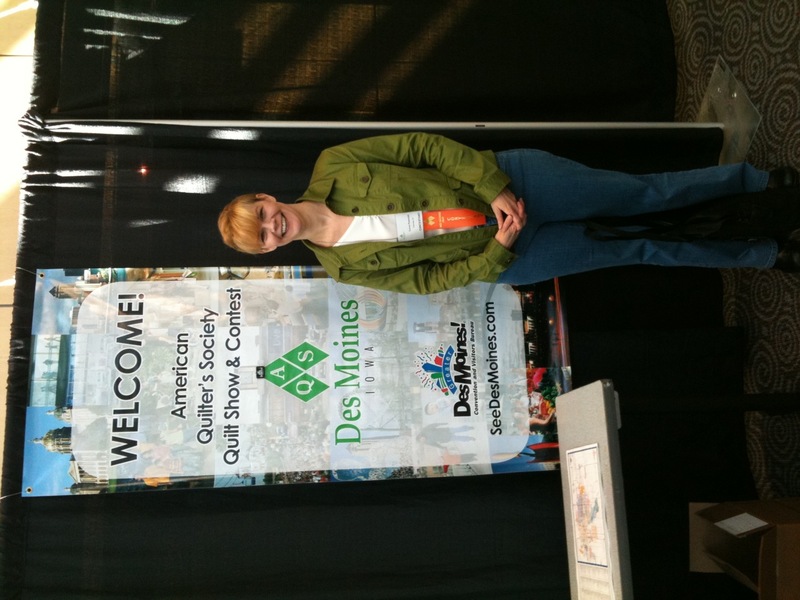 I had a wonderful time at the AQS show in Des Moines. I set off around 3:30 Saturday morning. I arrived in Des Moines around 10am. I got settled at my hotel and then I was off to see the show. The show was amazing. I’m so glad I went. 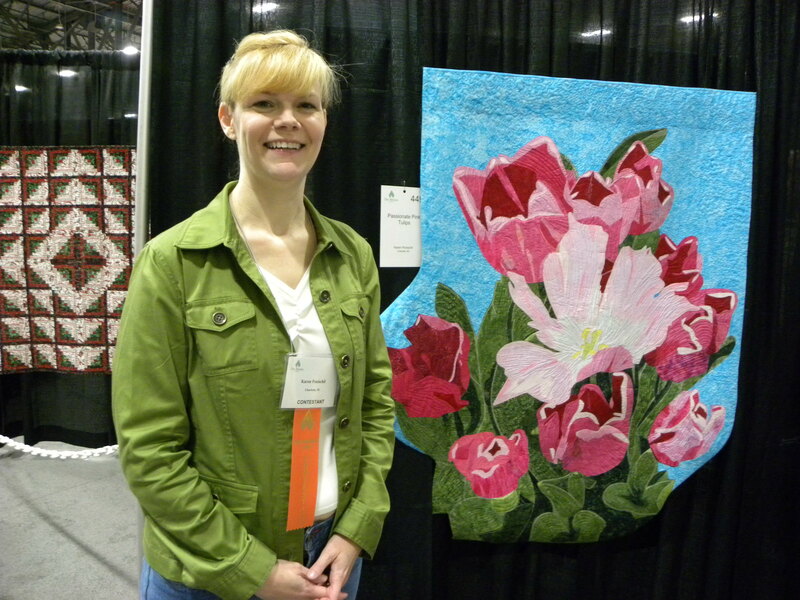 Here I am with my quilt. Everyone, the vendors and attendees were all so nice. I had so many people wish me congratulations. It was thrilling. Also, my quilt is being photographed so it can be included in the 2012 Quilt Art Engagement weekly Calendar. I’m so excited. Now, I’ve got to get working on my daffodil quilt. I’m so inspired.